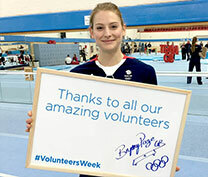 Has your gymnastics experience been enhanced by a volunteer? Perhaps someone who is a great asset to your club or who make gymnastics at a county or regional level easier? Or maybe someone has made a great contribution to an event you were at recently? If this sounds familiar, we want to hear from you. 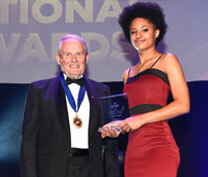 British Gymnastics wants to recognise the incredible contribution volunteers in gymnastics make. Whether it's a shout out on social media, writing an in-depth story or even some goodies, we have lots of ways of recognising volunteers. So tell us about this fantastic individual and how their help has influenced your gymnastics experience so we can share their story with the gymnastics community. Many thanks for making your nomination! We will be in touch to find out more information from you. We will contact you to obtain information about the person you wish to nominate. 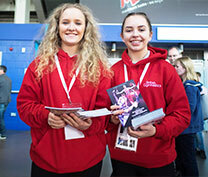 We will use the information you provided to access the contribution made by the volunteer and will contacted them by post if we agree that they should be recognised by British Gymnastics. Any information you have provided about the volunteer will be deleted within 6 months unless the volunteer agrees that we can promote their contribution as a volunteer.